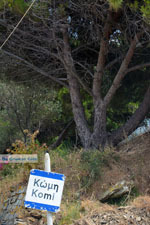 Komi. 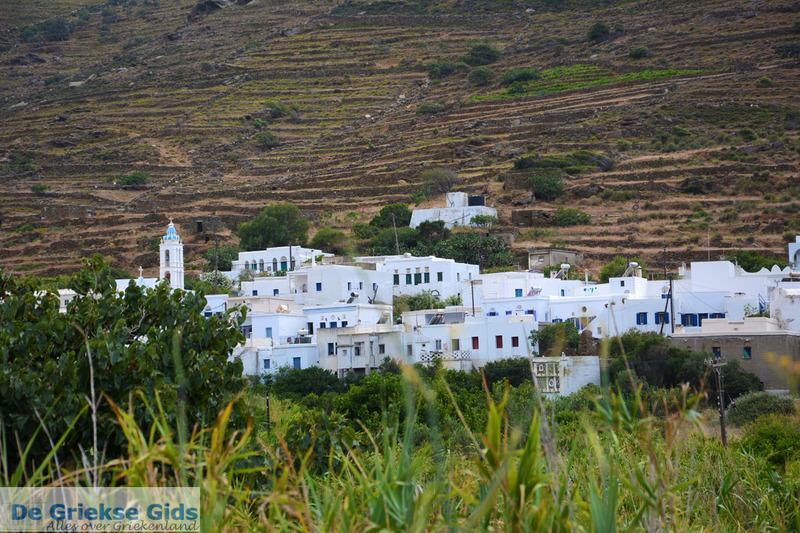 Komi is in the middle of the Greek island of Tinos, on the edge of the fertile plain Livadi. 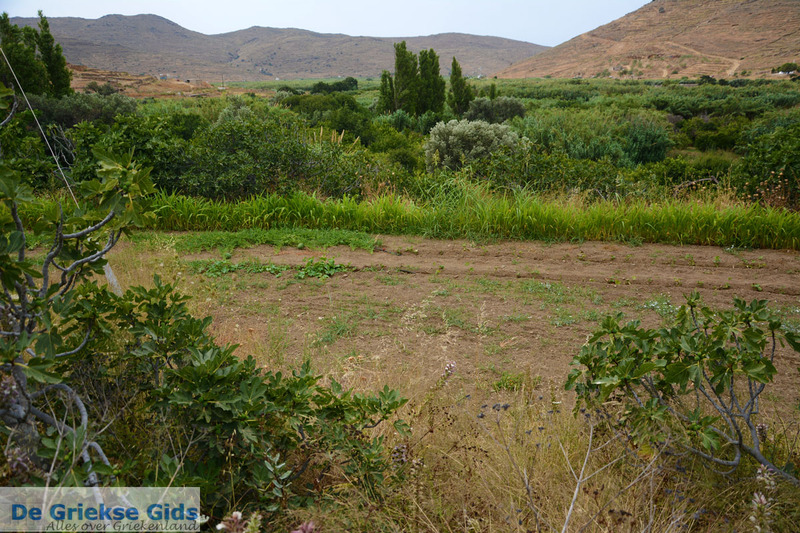 The plains of Livadi reach the coast near the seaside resort of Kolimbithra, which lies to the north. 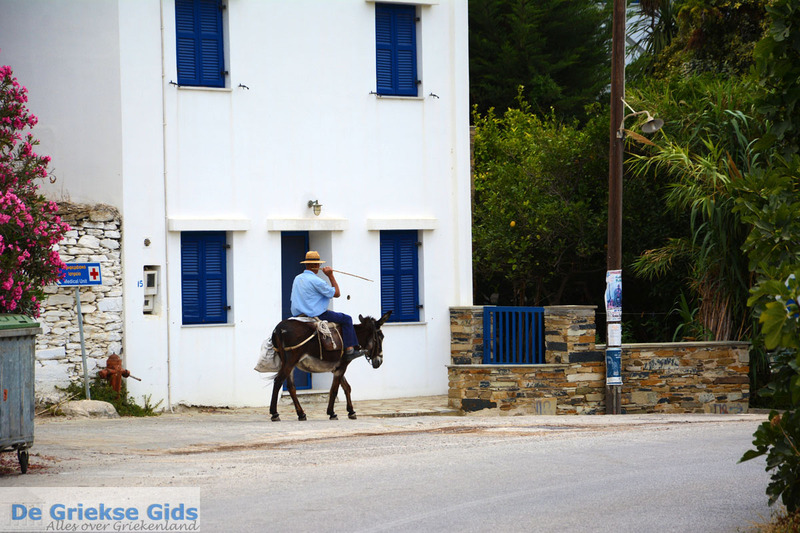 A little over 200 people live in the village and are mostly engaged in agriculture. 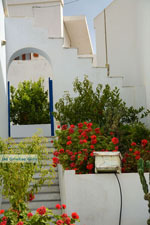 Artichokes are grown in this region. 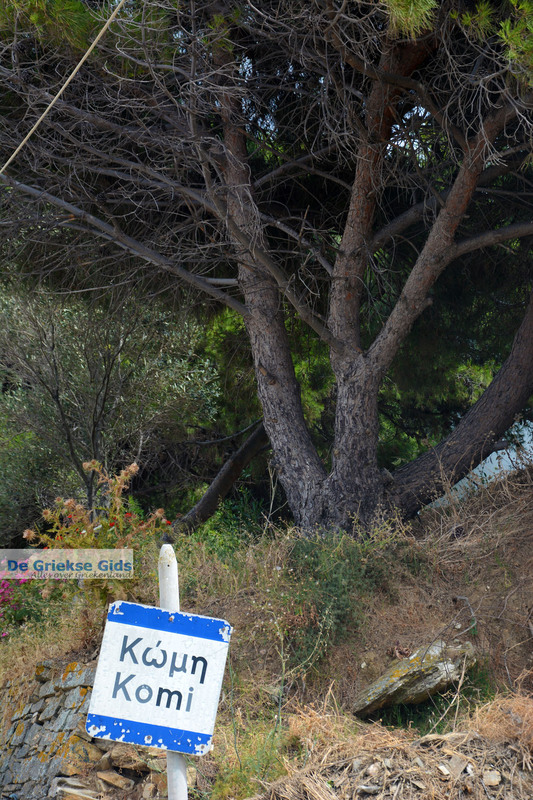 Every May, the feast of the artichoke is held. 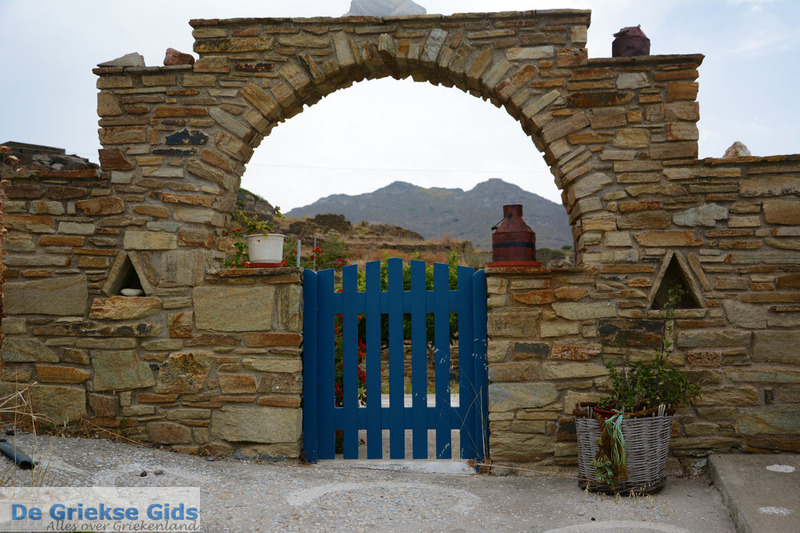 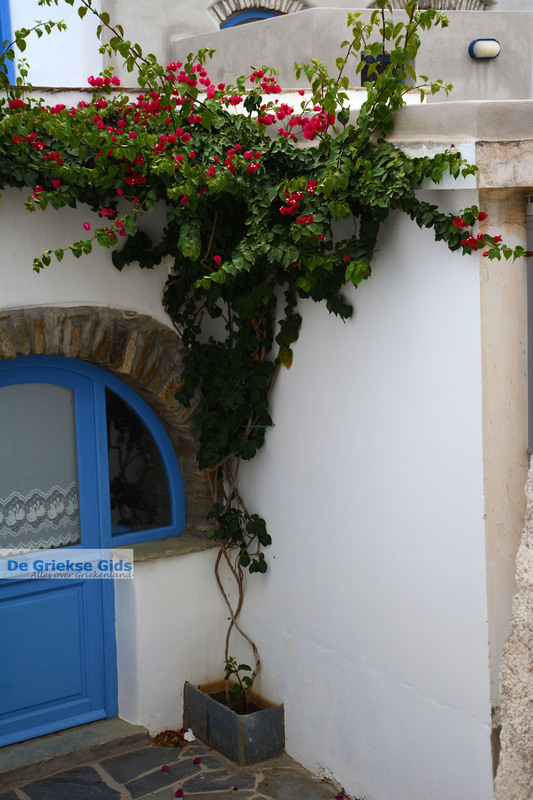 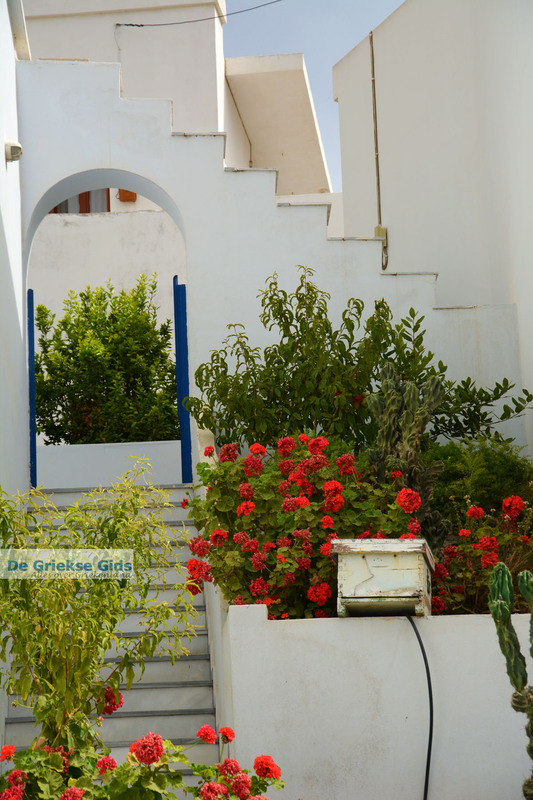 Komi resembles all the other beautiful villages on Tinos, with its white houses, classic door facades and window frames, as well as narrow streets and arched bridges in the tight lanes between the houses. 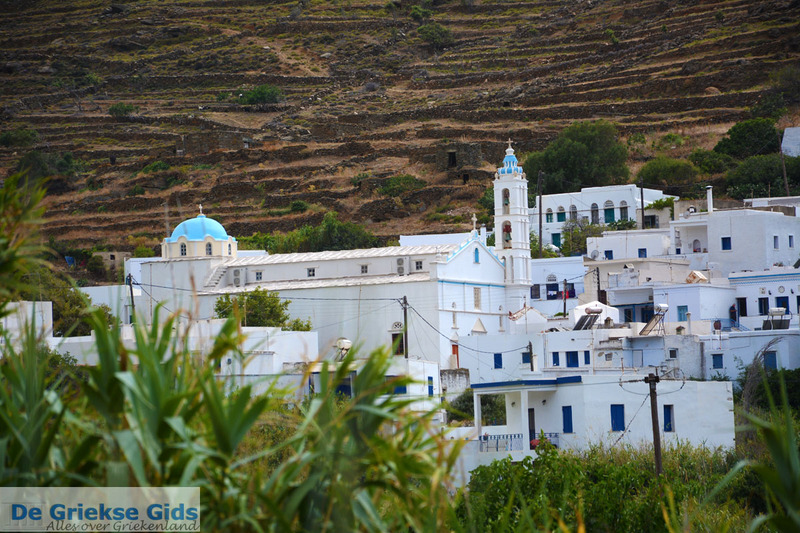 In the village is the church of Aghios Ioannis, built in 1850, which is one of the largest churches on Tinos. 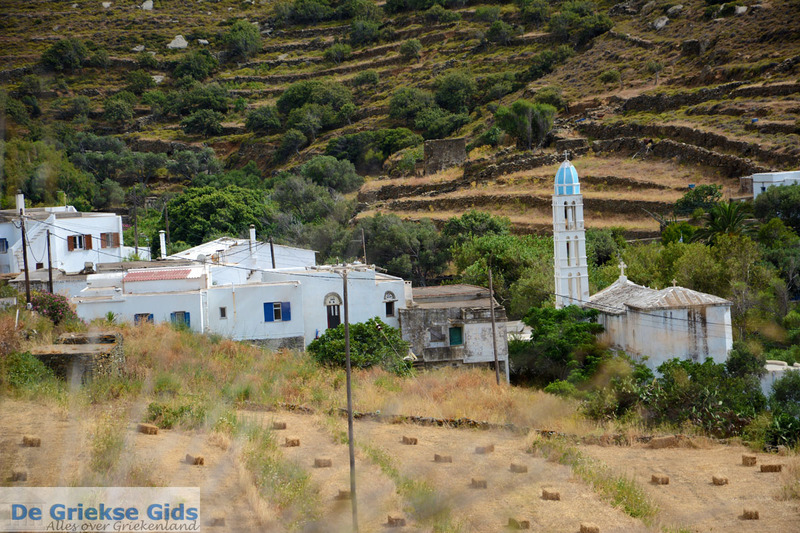 Next to the church is a cave through which water flows from the mountains. 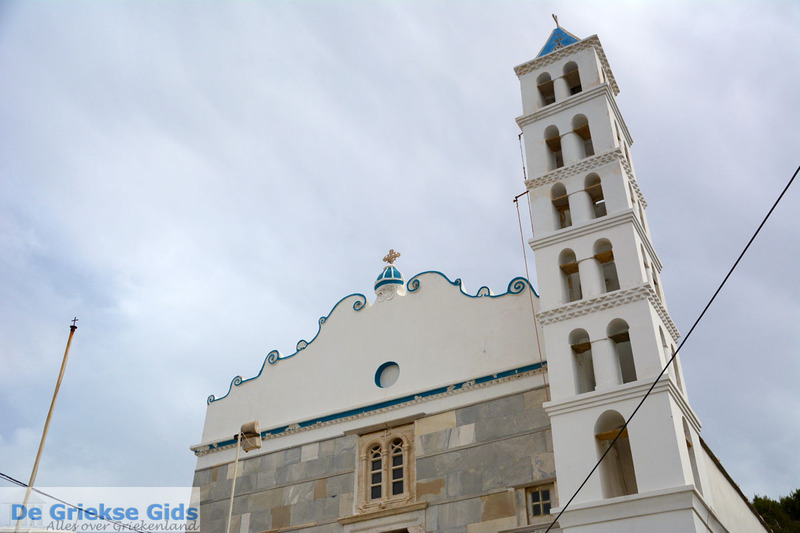 Every year, on August 29th, festivals in honor of John the Baptist (Aghios Ioannis) are held here. The village has a traditional bakery, a cafeteria, a tavern, a kafeneion and other shops. 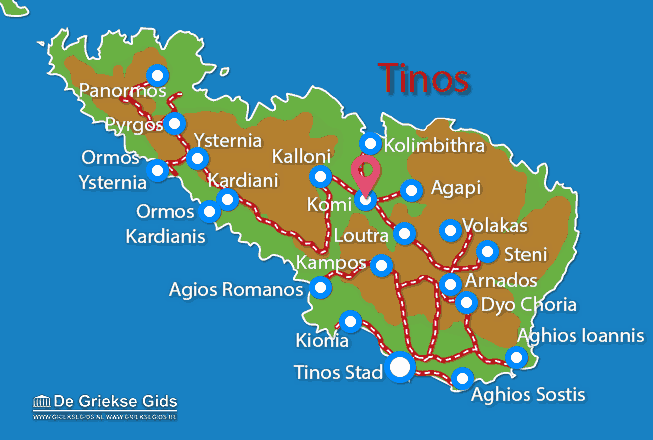 Tinos: Where on the map is Komi located?